What is the Single Photon Detector Iniative? 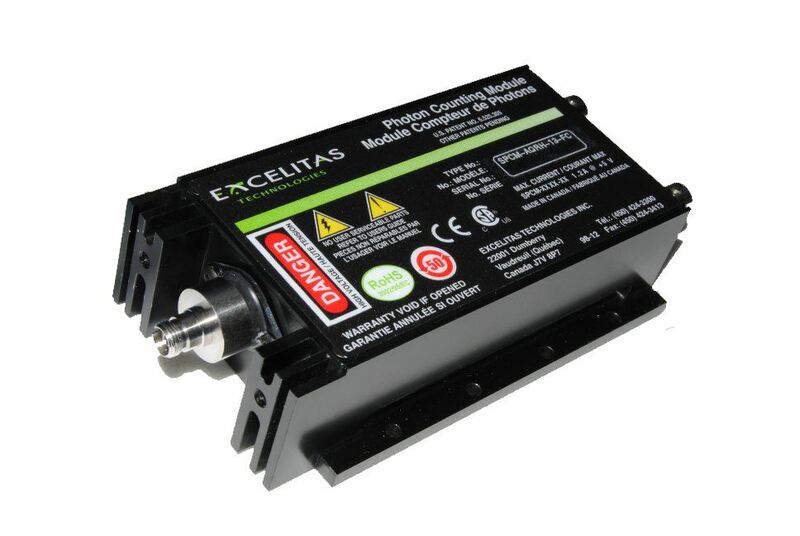 ALPhA members may purchase single photon detector's by Excelitas directly from ALPhA. ALPhA has already purchased eight rounds of detectors so far allowing 15 institutions to each receive 4 detectors (for a total of 60 detectors) every round. If you would like to purchase detectors in the 9th round, please click the button to sign up for the Waitlist. See below for more details! Single photon detectors (shown above) are often used in the quantum mechanics or modern physics laboratory in many different experiments: demonstrating the existence of photons, demonstrating single-photon interference, indistinguishability, or the quantum eraser, demonstrating entanglement, or testing Bell’s inequalities, etc. These labs have been featured highlights of BFY (Beyond the First Year Lab) conferences and have been incorporated into the highly successful ALPhA Laboratory Immersion program, which provides hands-on training for lab instructors. ALPhA, in its role as advocate for instructional advanced physics laboratories, has arranged for the production and sale of single photon detectors at a cost significantly lower than for comparable research-quality detectors. This came about after it was determined that the high cost of the single photon detectors was the single largest expense incurred in setting up the single photon detection experiments that are emerging as a most exciting class of undergraduate advanced physics lab experiments. These detectors are being made available through ALPhA as a joint project between ALPhA, the AAPT, and Excelitas Corporation (formerly part of Perkin-Elmer). The detectors have specifications more than sufficient for the performance of the undergraduate laboratory experiments for which they are aimed, albiet slightly reduced compared with the industry standard detectors.Our efforts are having a huge impact on the number of students who will have access to this key, new generation of instructional labs. The manufacturer, Excelitas, has put forth two conditions: (1) To ensure that these units are sold for instructional labs, each purchaser must be a member of ALPhA. The detectors carry labels specifying that these units belong in the undergraduate instructional labs and not in research labs. These educational detectors have reduced specs, notably a higher background dark count rate, compared to other models from the company. (2) Secondly, the manufacturer will not accept individual orders. ALPhA is to accept individual orders, and coordinate these into single group orders (15 institutions each ordering a set of four detectors). Please note that ALPhA is only an intermediary for the purchase and assumes no liability or responsibilities with respect to these detectors; the manufacture, service, and warranty are provided by and the responsibility of Excelitas Corporation. When will the 9th Round of Detectors be available? The 8th round of detectors sold out in March 2018. In the past, we have averaged 1.5 years between rounds, meaning that the next detectors will probably be available in September 2019. Excelitas in February 2019 said that we were *months* away from collecting the 60 detectors needed to begin the 9th round. So please plan accordingly. How do I purchase single photon detectors? For now, you should click on the button below to sign up to be on the waitlist for the 9th round of detectors. When the 9th round is available we will begin shipping to the people on the waitlist first.